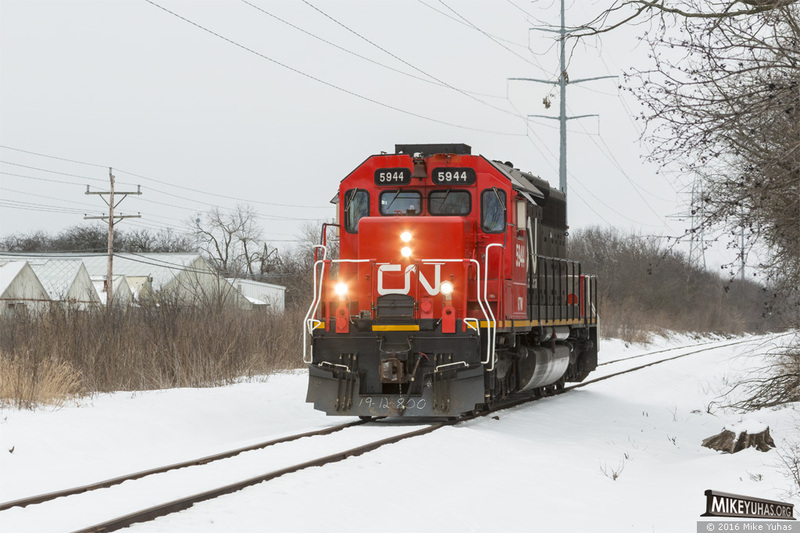 CN's L507 job is at this point just a light engine, northward on the Saukville Subdivision. The job is approaching County Line Road, leaving Milwaukee County and headed into Ozaukee County. They are just a short distance from their first pickup, a pair of empties at the plastics manufacturer in Mequon.